Back in March, @evleaks mentioned that a midrange device by LG called the LG K30 would be heading to T-Mobile sometime. Well, it looks like it is headed there pretty soon as the device has been revealed in its entirety on T-Mobile’s support site including photos, specs, and features of the phone. LG K30 and Aristo 2 Plus are headed to T-Mobile US. The LG K30 has the rear-mounted fingerprint sensor/power button and a volume rocker on the left side of the phone. There’s a 16:9 5.3-inch display, which does not mention HD so we might be dealing with a sub-720p display. Under the hood is a Qualcomm Snapdragon CPU clocked at 1.4GHZ with a quad-core cluster, so we are likely seeing a 400-series model. This is paired with 2GB of RAM and 32GB of on-board storage. There’s a microSD slot to expand up to 2TB. Meanwhile, the UI is Android 7.1 Nougat. 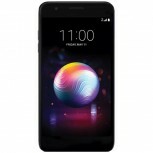 In terms of connectivity, the K30 does Wi-Fi N, Wi-Fi Calling 2.0, Bluetooth 4.2, NFC (surprising for this level), USB-C, supports VoLTE and T-Mobile’s low-frequency 600 MHz band along with its 700 MHz and other global bands on the network. In the camera department is a 13MP main camera and a 5MP selfie snapper. Meanwhile, everything is powered by the phone’s 2,880 mAh battery which is rated to give the phone up to 13 hours of use. 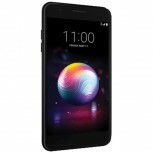 The phone isn’t on T-Mobile’s product catalog, only its support page which means we can expect the phone to become available for sale sometime soon.